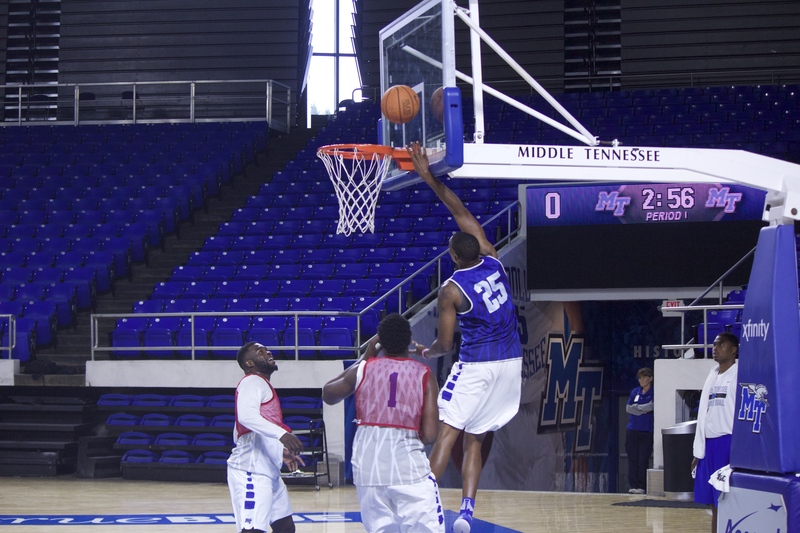 Middle Tennessee men’s basketball held their first practice of the 2016-2017 season Tuesday inside Murphy Center. 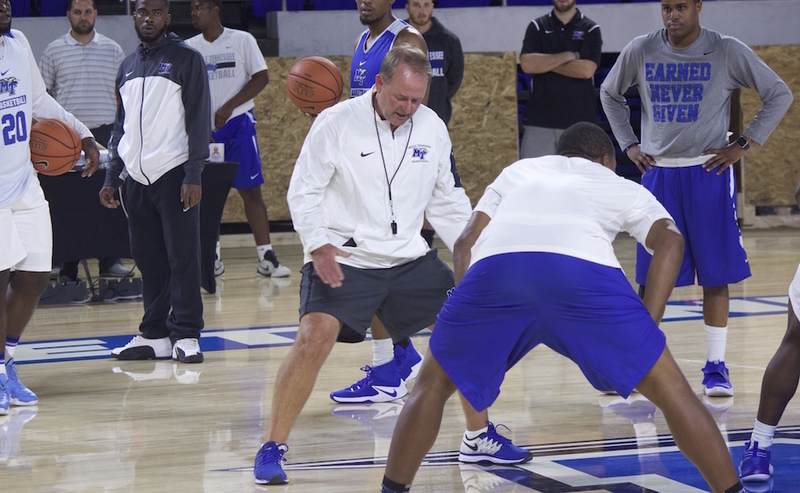 Head Coach Kermit Davis is entering his 15th year with the Blue Raiders and is looking to take another team deep into March. The first practice included individual drills, competitive defense and rebounding drills, live 5-on-5 scrimmages and plenty of suicides. 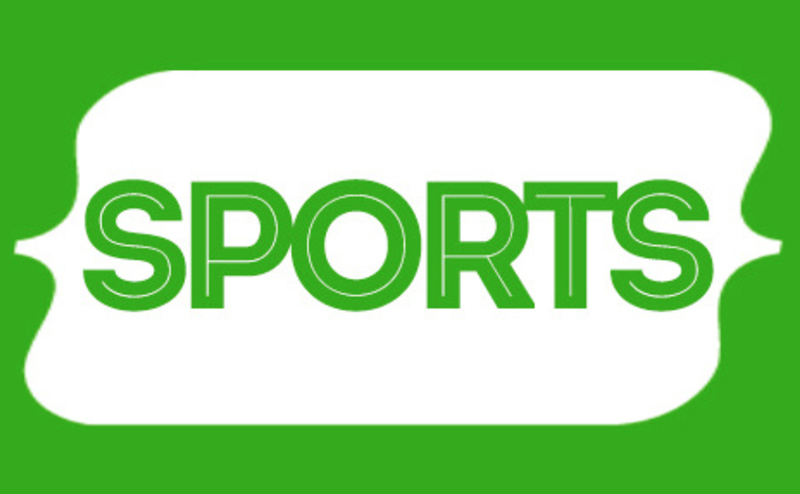 Davis said that this October will be a time for positions to be filled. Over the summer, Gamble has put on 10-15 more pounds, coming into his sophomore campaign at 230 pounds. 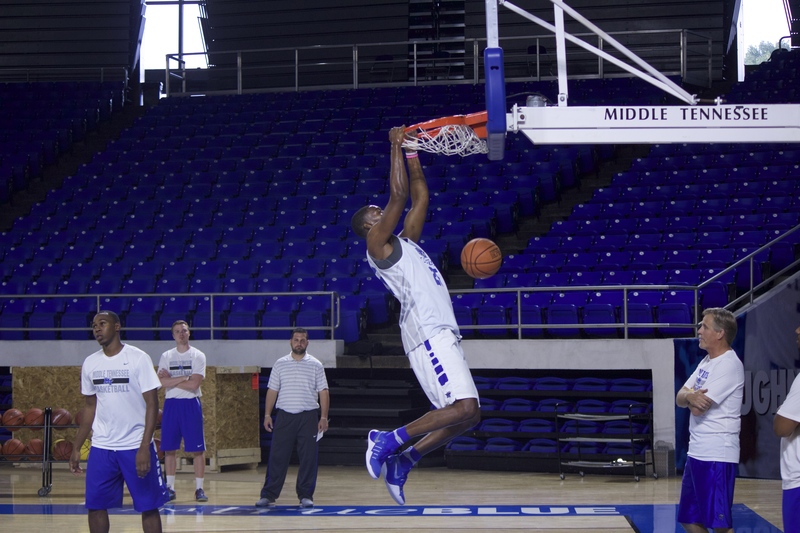 Davis said he expects Gamble to make the needed jump in his game and average 10 points per game this season. Even after all the ‘madness’ that occurred in March, Davis said his team is more focused on this season and ultimately making it back to that point. Senior leader Reggie Upshaw spoke about the last campaign as a whole. 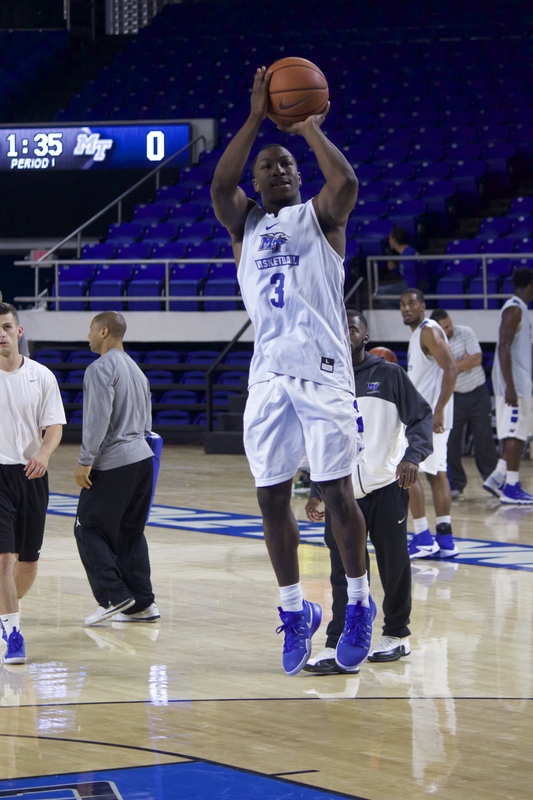 The Blue Raiders will open up with a Nov. 3 exhibition against South Alabama and officially open the 2016 regular season against Milligan College on Nov. 11. 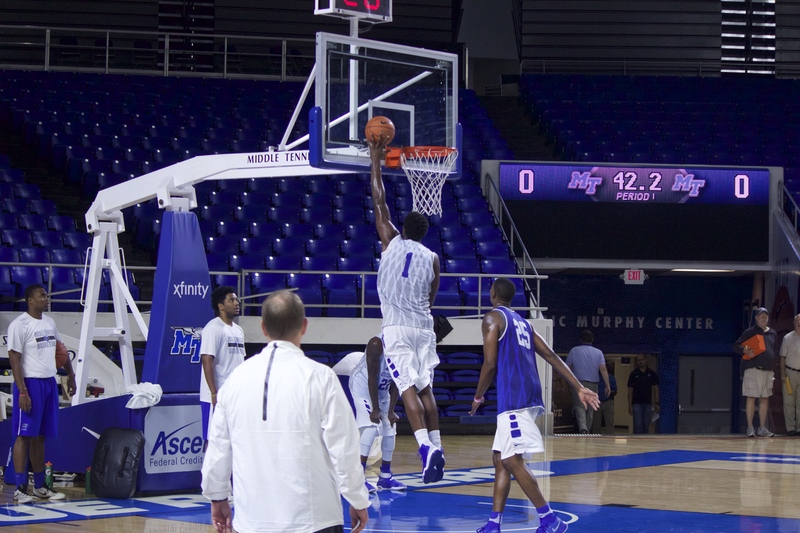 Both events will be held inside the historic Murphy Center.